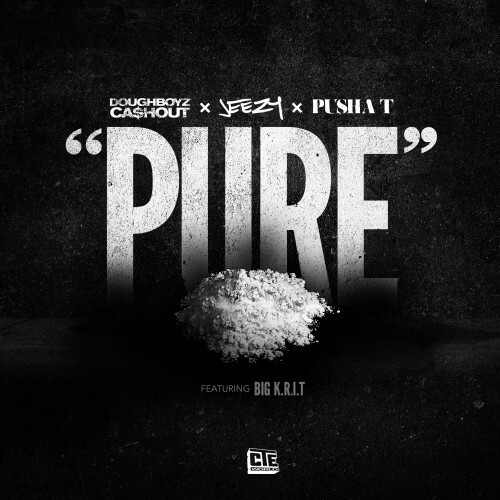 Doughboyz Cashout are back with some new heat titled “Pure White” featuring Pusha T, Big K.R.I.T. and Young Jeezy. It’s all about the cash, street life and drugs with this one as each rapper laces the bouncy instrumental with tales from the block. Driven by a catchy horn loop and “cocaine” vocal sample, Doughboyz Cashout serve up another hard-hitting street anthem. This entry was posted in Audio and tagged big krit, CTE, doughboyz cashout, hip hop, pure white, pusha t, rap, Young Jeezy. Bookmark the permalink.